Welcome to Traveling To World: The Smooth way to World Discovery > Travel > Six Reasons Business Trips Are The Best! Six Reasons Business Trips Are The Best! Many people hate business trips, but they can actually be a blast. After all, you are getting paid to travel – it doesn’t get much better than that. 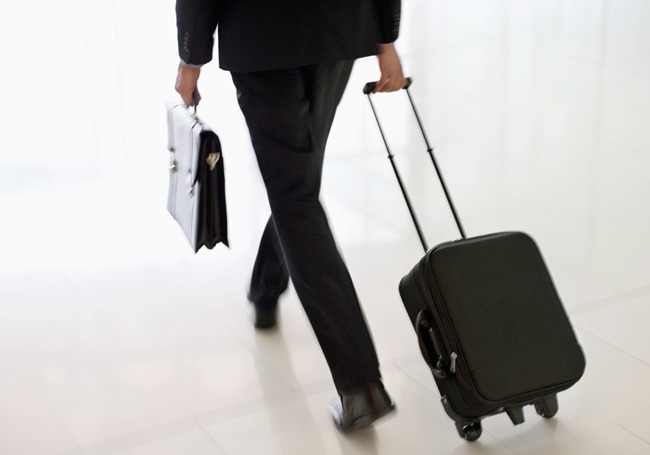 Here are six reasons why business trips are the best. Many companies operate on the basis that they reimburse the employee for ticket costs and hotel costs. This means you pay for the flight and the hotel, and you get to build up a massive number of frequent flier miles. First class upgrades, anyone? Like with other travel expenses, your company will most likely cover food costs. This means you get to eat out pretty often. Don’t take advantage of this and hit up every five star restaurant in town, but you don’t have to limit yourself to fast food all the time. Ever wanted to see a movie your spouse wasn’t interested in? Take the chance in your new city to go see it once your work for the day is done. While business trips tend to be consumed with work most of the time, the evenings of most days should be open. Spend some time exploring the location you’re in and enjoying yourself. Has a business conference in Vegas? Go gamble. Has a presentation to give in Beijing? Try some authentic Chinese food. Business travel is still travelling, even if you have to work while you’re there. You’ll get the chance to do things you might never be able to at home, so take advantage of that. Not to mention for most companies, business trips will include all the amenities such as corporate transportation, it can really take the stress and ease of the business you are there to conduct. Sure, you may know a lot of people in your industry on LinkedIn, but business travel allows you to meet these individuals in real life, strengthening those relationships and opening up opportunities for the future. Business trips tend to have a pretty limited wardrobe. There’s a certain beauty in having only three shirts and two pairs of pants to choose from. It takes the stress out of getting ready in the morning, something which is a major problem for many people. Despite the fact that many people dislike business travel, it’s one of the best ways to get out and see places you might never get to see otherwise. Enjoy yourself. Brionna Kennedy is native to the Pacific Northwest, growing up in Washington, then moving down to Oregon for college. She enjoys writing, on fashion and business, but any subject will do, she loves to learn about new topics. When she isn’t writing, she lives for the outdoors. Oregon has been the perfect setting to indulge her love of kayaking, rock climbing, and hiking.